The Grand Indonesia's shopping malls and business office centers recently modernized it's CCTV system taking it's surveillance capabilities from analog to IP by integrating OT Systems' Ethernet-over-Coax (EoC) transmission solution to existing infrastructure. The Grand Indonesia is a multifunctional complex in Jakarta, consisting of the Grand Indonesia Shopping Mall, BCA Tower, Kempinski Private Residences and Hotel Indonesia and covering an area of 640,000 m2 (6,900,000 sq. ft.). It is one of the largest shopping centers in South East Asia. The multi-use complex opened in 2006 with a traditional analog surveillance system. After a decade it was time to upgrade to an IP-based system to provide better image quality and advanced video management and integration. 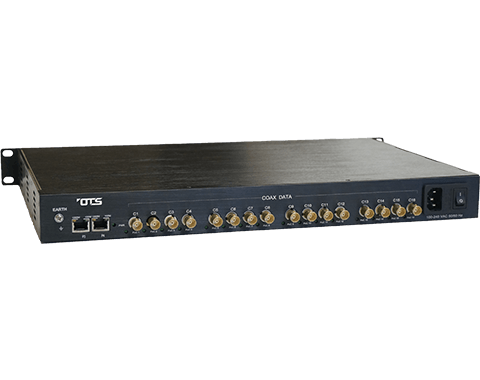 OT Systems’ comprehensive and reliable EtherXtra™ Ethernet-over-coax (EoC) solution fulfilled the need to support the existing analog systems while upgrading to IP networks in an easy and affordable way. A total of 100 single-channel ET1100CPp-T transmitters were installed to connect 100 IP cameras and connected to either single-channel ET1100CPp-R receivers or 8 to 16-channel ET4200CPp-RS8/16 rack-mount receivers. The ET4200CPp-RS8/16 receiver offers full switching capability and 10/100/1000Mbps auto-MDI/MDIX full-duplex communication and it’s available with rack-mounting installation in the 19-inch rack cabinet. The EoC solution provides flexible communications and 30watt high power with power over coax (PoC) technology to remote PoE IP cameras or PTZ cameras. The power supply can be connected with one-channel or multi-channel receivers like the ET1100CPp-R and ET42000CPp-RS8/16 which supply power using legacy cable. OT Systems’ wide range of EtherXtra™ EoC product series allows users to utilize the existing coax infrastructure to migrate to IP-based systems. 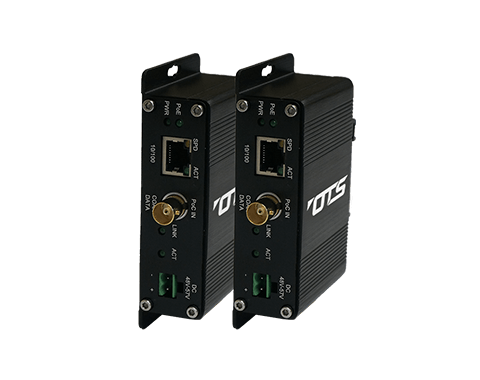 This cost-effective EoC solution breaks Ethernet transmission distance and easily upgrades CCTV systems to IP surveillance networks. It offers long range transmission allowing 1 km to be reached via coaxial cable. It saves considerable expensive by eliminating installation of new Ethernet or fiber cables. Additionally, its plug-and-play design allows for easy installation without the need for extra infrastructure. To enhance the safety and security, more customers are considering updating existing systems to IP requirements. OT Systems is an industry-leading supplier focused on Ethernet-over-coax transmission solutions. Our EoC product series offers an unparalleled and innovative solution for system integrators, installers and end-users. This EoC retrofit easily repurposes existing coaxial cable infrastructure, enhances the system with centralized power and creates a feature-rich IP surveillance systems.